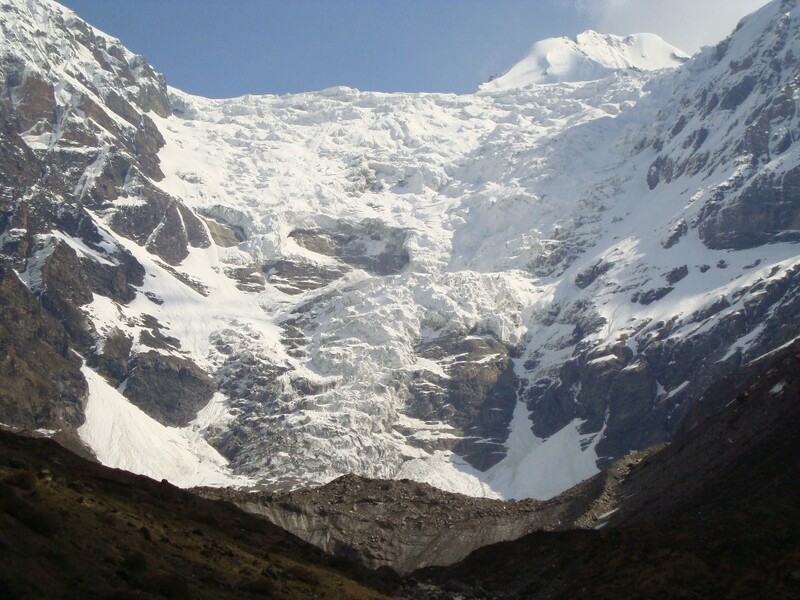 Tipra Bamak is a 6 km long glacier of the Bhyundar Ganga Basin in the the Alaknadnda catchment . 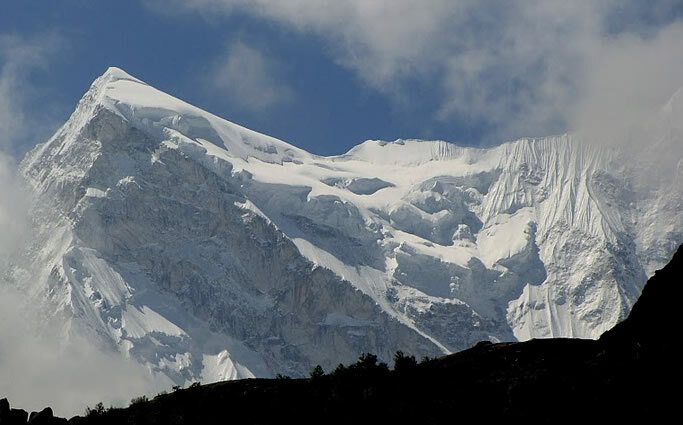 Near 16 glaciers of Various size and shapes exists in the basin out of which only Tipra Bamak and adhoining Ratabnan Glaciers are of Singficance. The melted wate discharte of these glaciers emerges from a singal ice cave at the snout of the Tibat Namak. The glacier surface is coverd by a thick deposit of devirs . Ghangaria is the only place for staung in the vicinity. the best time to Visit the glacer is mid june to mid October. Govind Ghat to Tipra Bamak Glacier — 20 kms. Govind Ghat to Ghangaria————- 14 kms. 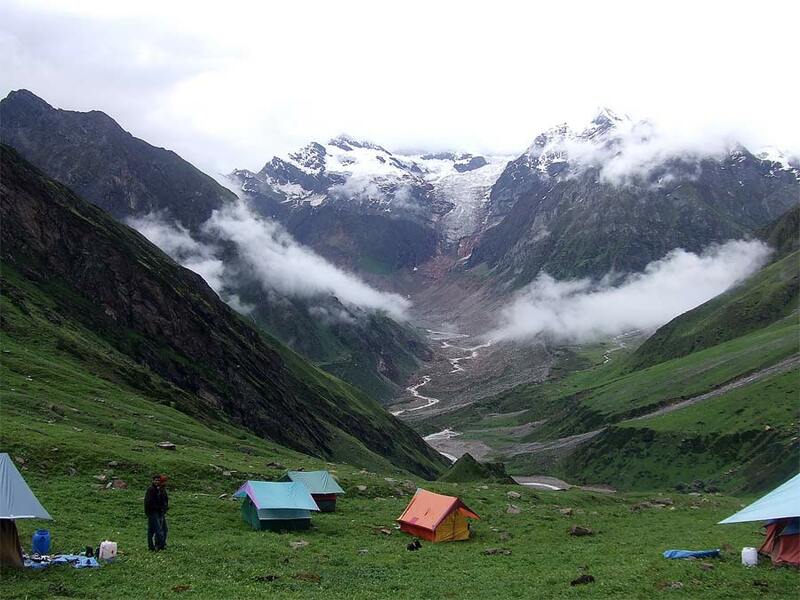 Valley of Flowers to Tipra Bamak—– 02 kms. and nature lovers Maiktoli and Sukhram. The peaks that offers a spectacular view when seen form here are Tharkot (6100) Mrighuni (6858) Maiktoli(6030) amd panwalidwar (6663m) Sunderhunga is approximately 24 km form the Village Khati. Bageshwar is well connected by road to all major towns of the state. Taxis are available for local tramspot. Delhi———————————- Sunderdhunga Glacier——— 496 kms. Rail :- Kathgodam is the nearest Railhead. The Ramganga east Vallkey is among the most difficulty trekking ares of the higher Himalayas. In one day one reaches Bala Villge on Thal Munsyari route near the famous Birthi falls.On the second day one can stayh at Thala Bgual. On the third day before reachind sudam kham one has to go through Thal Thunk Chafual Ranrthan and Malla Rantha. 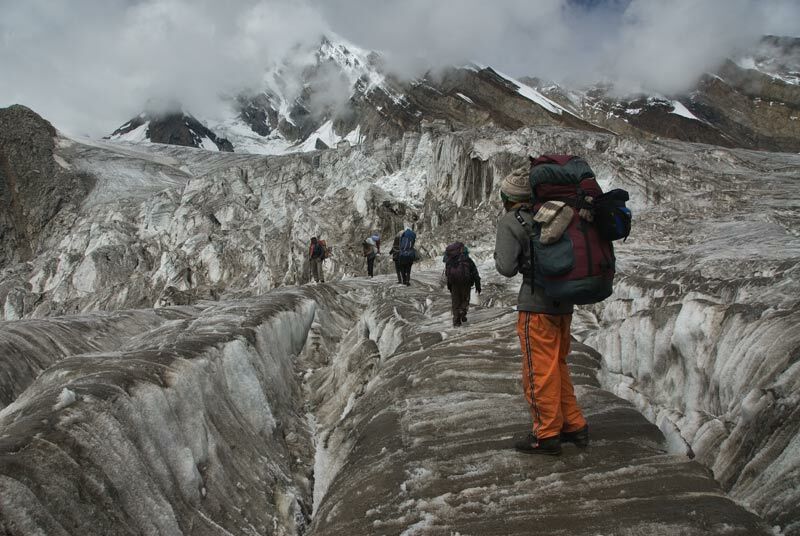 On the fourth day after crossing Rahil Nandkunbd and the ascent to Reumandar the trekker reaches Hirammani Glacier. The fifth day is special as one see the snout of Namik Glacier and the lesser stream coming down form Anargal to meet the main stream after and the lesser stream coming down ascent of Bhindawali and enthang. To the west of the Pindari glacier situated on the southem slope of the sunderdhunga khal is the 5 km long Mailkoti glacier. 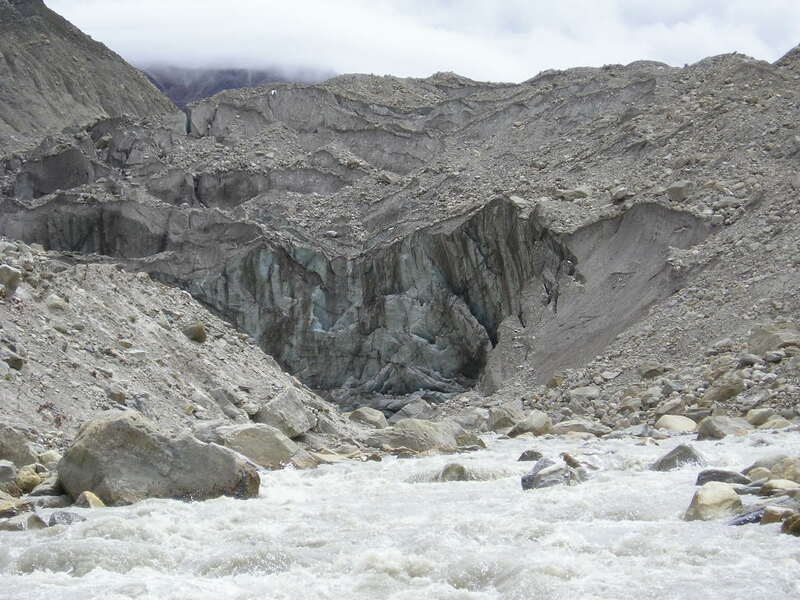 This glacier forms the source of the river floweing on the steep slope for about 25 km before Joining the pinder river at at Dhakuri meadows. To the west of Maolkoti glacer is the Mrighuni glacer sityated on the southen slpoe of the devtoli peaks. It covers 6 km long flow towards the S-E directons of the Valley with the smouth opening at and elvealtion of 400 m. and as a stream neets the sunderhunga river at sunderdhunga (32006m). Song to Maiktoti———————– 44 kms. Khati to Glacier———————– 22 kms. Gangotri glacier is a well know glacier in Garhwal Himalayans situated in Uttarkashi district .The glacier originates at the northern slope of the Chaukhanba range of peaks. This is not a singale valley glacier but a combuunation of several other flaciers that are fed to it and from a huge mass of ice Bhrigupanth (6772m) Kirti stambh (6285) summery parvat(6380) respectively and Ratavaa Bamak chaturangi Bamak and Swacha nd Banak lie on peaks. 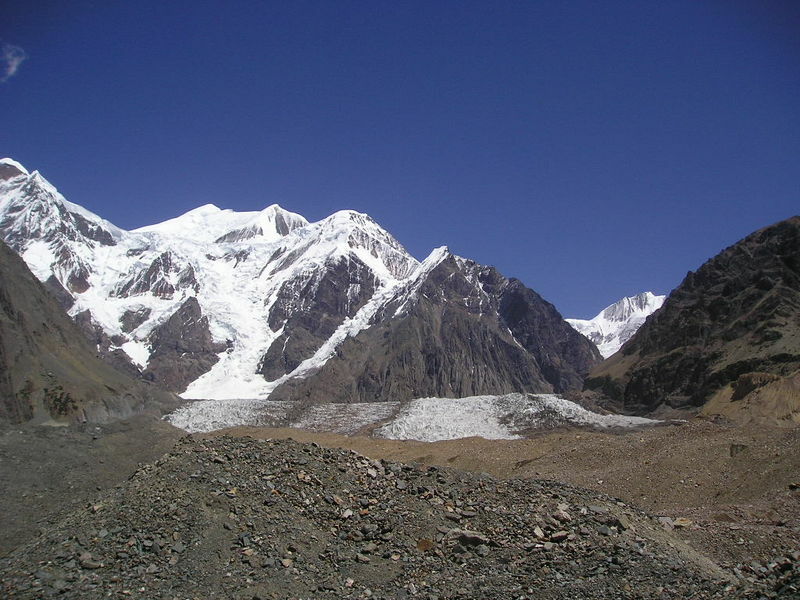 The glacier lies with ib a span of 28 km and terminates at Gaunkh (400m)/ The glaciers flows at a gentle slope ezcept fore a few ice walls and crevices developed in the upper regions of tge devris which imparts a muddy appearances to its surface. Gangotri temple to Gangotri Glacier :- 17 kms. Dunagiri glacier is one of the important glaciers of the Dhauli Ganga sustem of glaciers where more than 500glaciers of different and size lie in deep and narrow Valleys. The important glacier here are changabf Githi Hoti and Niti glaciers. Duringiri glacier is 5.5 km long extending between elevations from 5150 m (head) to 4240m (shout) at the terminal point. A stream originating from the glacier enrages in to Dhauli Ganga near the Jamu Village.Bagini is another glacier in this Valley. Dunagiri is the last Village in the Valley. Near the Vicinity of the glacier there is a good place for camping. The best time to Visit the place is mid May to mind October. Juma to During Glacier—————- 20 kms. Juma to During Village—————– 08 kms. Durigiri to Dunagiri Glacier————- 12 kms.